Active in community affairs, Mr Lau was President of HKCS from 2010-2013, Chairman of Asia Pacific Information and Communications Technology Alliance (APICTA) (2006-2009), and a Member of the Multistakeholder Advisory Committee for the UN’s Internet Governance Forum (2008-2013). He is currently Chairman of the Hong Kong Institute of Professional Certification; and a Member of the IT Governance Committee and Chairman of the IT Technical Advisory Committee of the Hong Kong Hospital Authority. In 1984, Mr Lau was awarded Member of the British Empire (MBE) for his outstanding service to the Hong Kong Government and the community in the area of information technology. In 1986, he was made a Distinguished Fellow of HKCS. In June 2001, he was made a Justice of the Peace (JP). In 2009, he was elected a Fellow of the Hong Kong Institution of Engineers. 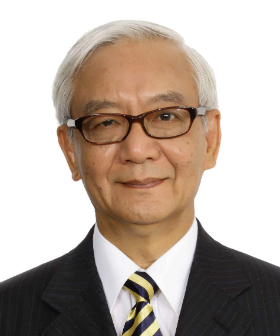 In November 2013 he was awarded the HKCS Lifetime Achievement Award for his sustained contributions to the ICT community and a significant contribution to APICTA’s development and promotion. An Adjunct Professor and Former Chairman of the Departmental Advisory Committee of the Department of Information Studies at the City University of Hong Kong, Mr Lau has a bachelor’s degree from the University of Manchester and a master’s in computer science from London University. He also completed a senior executive program at the Harvard Business School.